Welcome to Meta-future.org - a site hosted by Professors Sohail Inayatullah and Ivana Milojević which explores futures-oriented issues. Through presentations, workshops and research, Metafuture.org helps local and global organizations and institutions create alternative and preferred futures. Meta-future.org and www.metafuture.org are cybraries of articles by Inayatullah and Milojević. 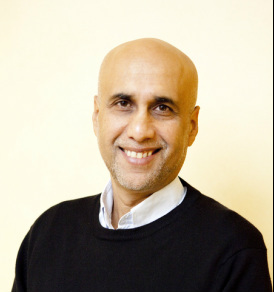 Professor Sohail Inayatullah /sə'heɪl ɪnaɪʌ'tʊla/, a political scientist, is the UNESCO Chair in Futures Studies. He is a professor at Tamkang University, Taipei (Graduate Institute of Futures Studies); Associate, Melbourne Business School, University of Melbourne; and Adjunct Professor at the University of the Sunshine Coast (Faculty of Social Sciences and the Arts).In 2010 he was awarded the Laurel award for all time best futurist by the Shaping Tomorrow Foresight Network. In March 2011, he was awarded an honorary doctorate by Universiti Sains Malaysia, Penang. Inayatullah is the Editor-in-Chief of the Journal of Futures Studies. He has written more than 350 journal articles, book chapters, encyclopedia entries and magazine editorials. His articles have been translated into a variety of languages, including Catalan, Spanish, Urdu, Hindi, Bengali, Italian, Japanese, Russian, Indonesian, Farsi, Arabic, and Mandarin. Inayatullah has also written and co-edited twenty four books/cdroms, including: ﻿What Works - Case Studies in the Practice of Foresight﻿ (2015); CLA 2.0: Transformative Research in Theory and Practice (2015); The Causal Layered Analysis Reader: Theory and Case Studies of an Integrative and Transformative Methodology (2004) and Questioning the Future: Methods and Tools for Organizational and Societal Transformation (third edition 2007). Academia.edu is a platform for academics to share and follow research. Professor Ivana Milojević /'ivana 'milɔɪevitʃ/ is a researcher and an educator with a professional background in sociology, gender, peace and futures studies. Born in the former-Yugoslavia, she currently splits her time between the Sunshine Coast, Australia, and Novi Sad, Serbia. 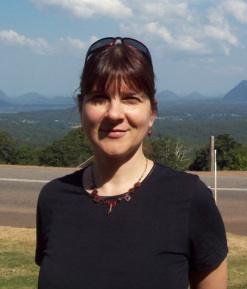 She has been teaching a range of sociology, gender and peace studies related courses at a number of universities since early 1990s, more recently at the University of the Sunshine Coast and University of Novi Sad. Dr Milojević is currently a Visiting Professor at the Graduate Institute of Futures Studies, Tamkang University, Taiwan. She is the author of over sixty journal articles and book chapters, as well as the author, co-author and/or co-editor of: CLA 2.0: Transformative Research in Theory and Practice (2015); Breathing: Violence In, Peace Out (2013); Alternative Educational Futures: Pedagogies for an Emergent World (2008); a special issue of Futures on Feminism/Gender (2008); Neohumanist Educational Futures: Liberating the Pedagogical Intellect (2006); and Educational Futures: Dominant and Contesting Visions (2005, reprinted as paperback in 2011). Parallel to this, she has recently published two books in Serbian: Ko se boji vuka još? Moćne priče za pametne i odvažne [Who Is Afraid of the Big, Bad Wolf? Awesome Stories for the Courageous and Curious], authored with Prof. Aleksandra Izgarjan, Eduko, Novi Sad, 2012 (www.mocneprice.com) and Uvod u rodne teorije [Introduction to Gender Theories], edited with Prof. Slobodanka Markov, Mediterran Publishing i Centar za Rodne Studije, Univerzitet u Novom Sadu (www.mediterran.rs).